With over 40 Years of Experience in aircraft sales and ownership of corporate aviation companies, Mr. Frey’s credentials are exceptional. Charlie began his aviation career in the early 1970’s, completing Aviation Maintenance Technician Certification at Embry Riddle Aeronautical University along with courses in Aviation Maintenance Engineering Technology and Aviation Management. A Wealth of Aviation Expertise was earned through development, operation and ownership of full service Fixed Base Operations, including Aircraft Sales, Maintenance, Avionics, Charter and Airline operations. Aircraft Sales Experience includes a history of operating Factory Authorized New Aircraft Sales Distributorships and Aircraft Maintenance Service Centers, earning regional leadership in aircraft sales goals and receiving airframe manufacturer awards year after year. As corporate aviation evolved, Charlie focused his experience on the Business Aircraft segment. After developing exceptional expertise in the aviation industry, it was time to move forward once again. Jet Speed Aviation Inc., was launched to continue the dream of working in aviation, providing customers with professional personalized service in selling and acquiring aircraft. Mr. Barron’s aviation history encompasses over 35 Years. Prior to joining the company, Bob served in the United States Air Force and worked with Airline and Corporate Aviation Companies. During his United States Air Force Duty, Bob was assigned to Air Force One, providing the highest level of airworthiness to support the President of the United States. His assignment included service as Mechanic and Flight Mechanic. Bob and his fellow crewmembers were responsible for all servicing and required maintenance to support airworthy flights. Bob’s service supported Air Force One during the terms of three Presidents. 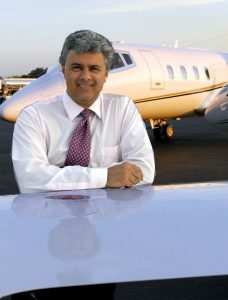 His extensive experience includes Airliner and Corporate Jets with responsibilities in Vendor Quality Assurance and auditing. Bob’s focus on Aircraft Sales coordinates well with the complex process of evaluating and auditing the details of aircraft for acquisition and for presenting accurate documentation of records and data as aircraft are prepared for sale. Tim joined Jet Speed Aviation as Director of Marketing to lead company communication efforts. Mr. Kelly’s experience positioned the Carnegie Mellon University College of Engineering among the best engineering institutions in the world. Tim’s expertise contributed to co-founding an educational technology company, and direction of the University of Pittsburgh Athletic Department’s online presence, complementing the customer knowledge from his success in retail branding. Additionally, Tim has demonstrated his marketing expertise in aircraft parts wholesale distribution. Tim has identified the opportunity with Jet Speed Aviation, to challenge his marketing and design vision and apply his talents to create a leading edge professional marketing approach for the efficient sale and acquisition of aircraft. Linda joined Jet Speed Aviation in 2005 as Controller. She has over 25 years of corporate finance and accounting experience, including aviation accounting. She has managed Corporate Aviation Fixed Base Operations, Flight Support, Charter Coordination and Customer Service. Her in-depth knowledge of Corporate Aviation operations is an asset to our company.